According to the CDC, about 47% of American adults suffer from some form of periodontal disease. This easily preventable condition can lead to discomfort and, in severe cases, even tooth loss if left untreated. Luckily, your family dentist can help you overcome your periodontal disease. Find out more with Dr. Thomas Nyvold at TEN Family Dentistry in Lakewood, CO.
Periodontal disease is an umbrella term for conditions which affect the gum tissue in the mouth. In its earliest form, gingivitis, periodontal disease is normally easily treatable with the proper at-home care and help from your dentist. However, as it progresses, gingivitis becomes the more advanced stage of periodontal disease, called periodontitis. This stage of gum disease requires significant dental intervention available from your Lakewood, CO, dentist to reverse. 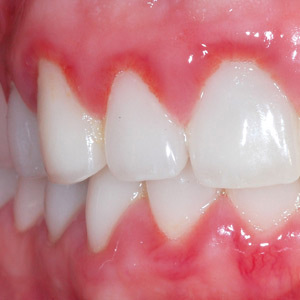 Periodontal disease progresses to periodontitis when gingivitis is left untreated and allowed to worsen. This condition is the leading cause of tooth loss in American adults and should be taken seriously and treated as soon as possible. Treating gingivitis often comes down to proper at-home care. Brushing your teeth twice daily and flossing at least once a day coupled with a professional dental cleaning is normally enough to reverse the irritation.More severe cases of periodontal disease require the help of your dentist. He may suggest a periodontal “deep” cleaning to thoroughly clean underneath the gum line and clear out plaque and tartar. For more information on periodontal disease, please contact Dr. Thomas Nyvold at TEN Family Dentistry in Lakewood, CO. Call 303-988-6115 to schedule your appointment today!